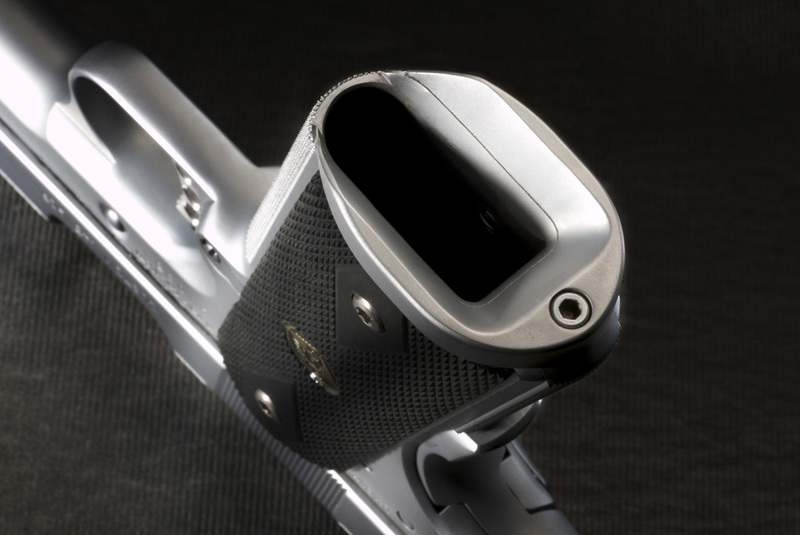 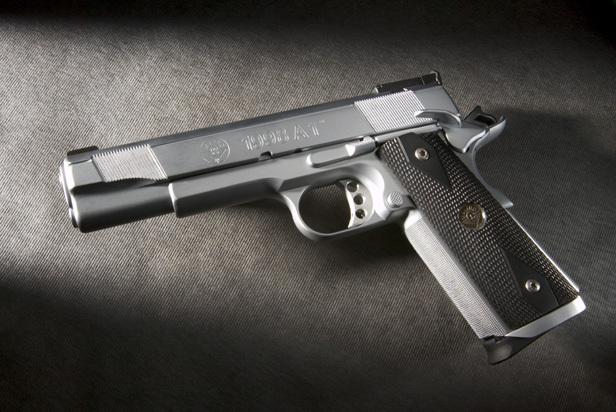 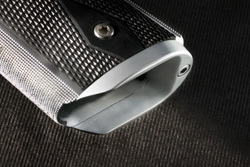 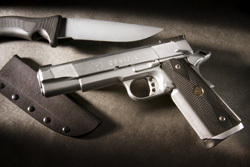 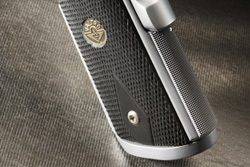 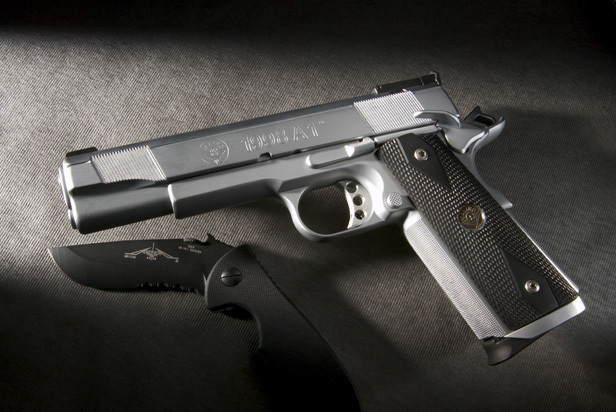 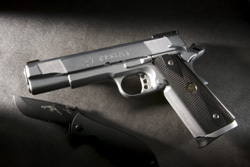 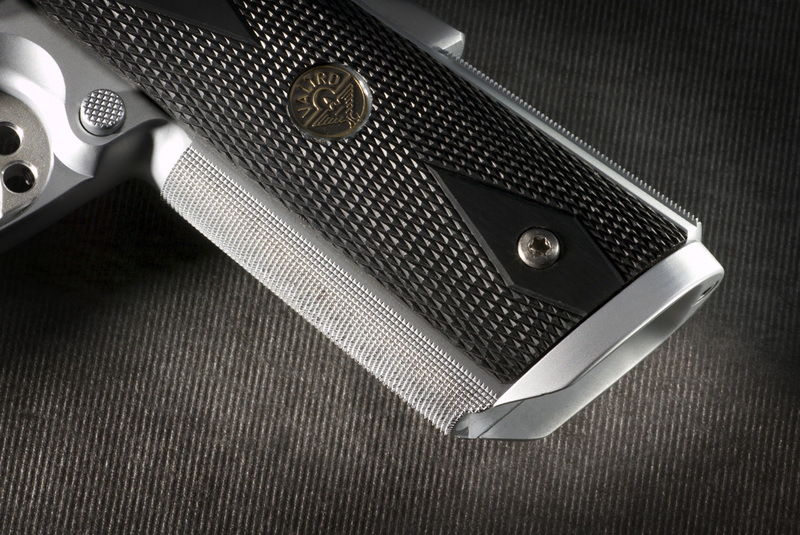 This is a basic enhanced tactical satin finish hard chrome model. 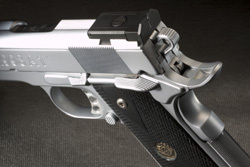 It features forced angle rear sight, tritium inserts, An Ed Brown magwell which is blended and fitted to the existing beveled magwel in the gun. 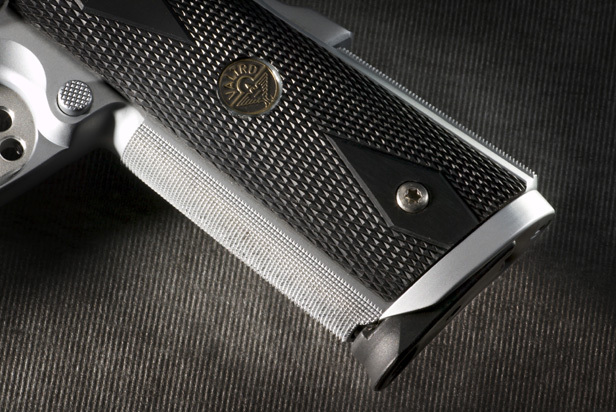 Sporting a thorough dehorning job along with a single sided wide, double diamond checkered synthetic J10 grips, safety, and 2 extractors. Overview hard chrome with J10 grips and Ed Brown Magwell with torx head grip screws see above description. Forced angle tritium rear sights, wide single sighted safety, serrated rear slide.